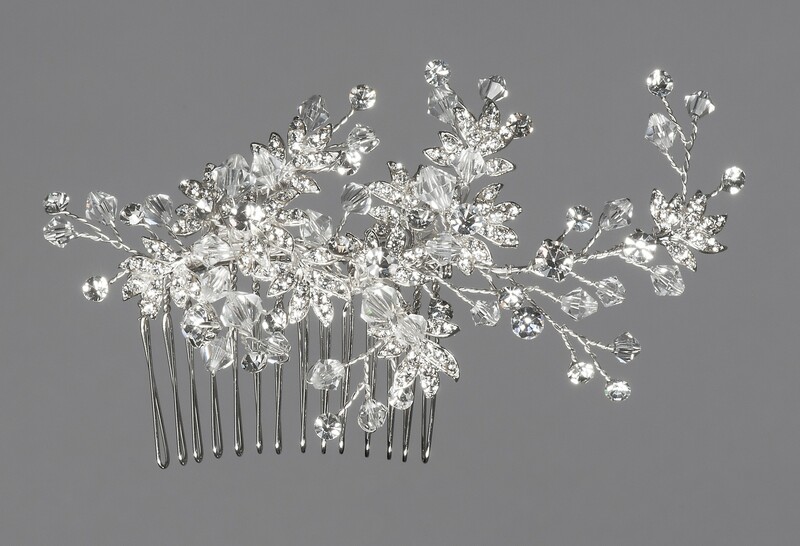 Stylish hair arrangement decorated with sparkling rhinestones and crystals. 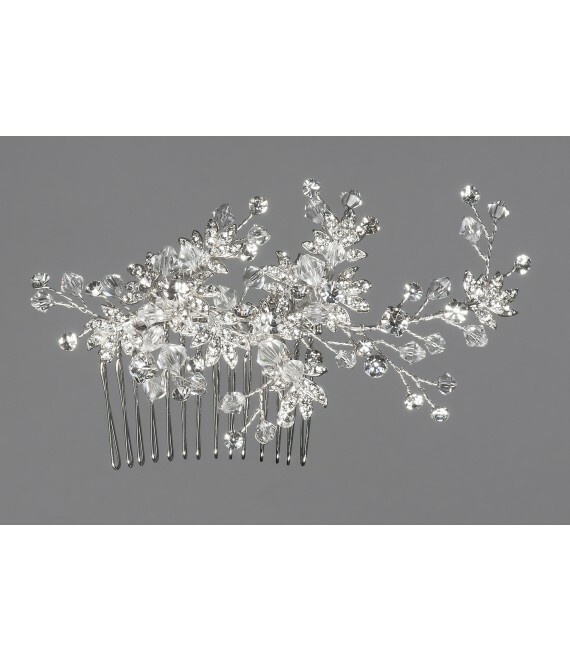 With comb for easy and quick fastening in her hair. Produced in an impressive, high quality, elegant design. Color : Silver plated and nickel free.